I was recently able to complete the Funskool/Complan Commando Force figure set! These figures free/promotional figures, that were given away on the purchase of ‘Complan Chocolate Health Drink.’ It appears that they were carded as one file card for each of the figures has surfaced (except for the Blue/Yellow Firefly/Short Fuse figure). The last figure that I needed to fill out the roster was the Blue/Yellow Firefly/Short Fuse. I believe this is the first complete set in collectors’ hands. However, I know that more sets will be completed as I have confirmed 4 Canary Ann figures now. 3 have sold, and one is still available, but it is way overpriced for the condition it is in. 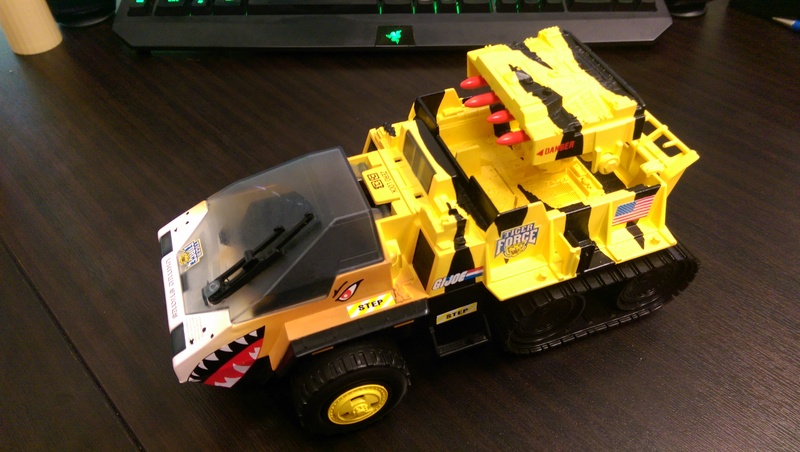 Emerald Gung Ho/Zap – “Striker”. Blue/Yellow Firefly/Short Fuse – ?? 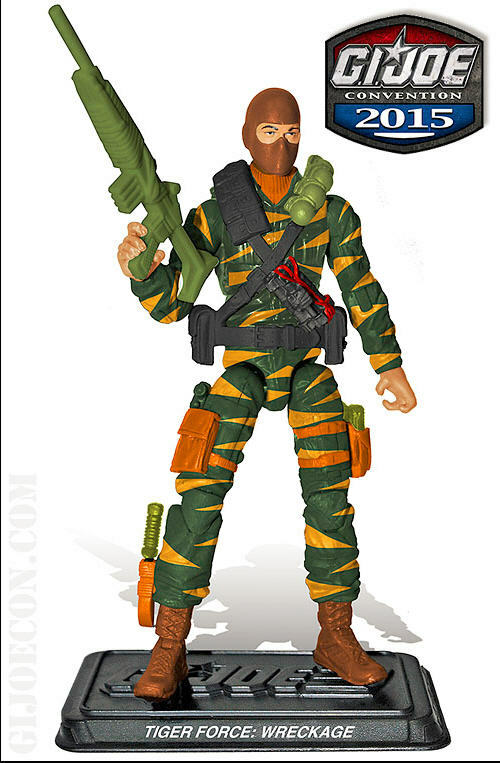 Categories: New Joes | Tags: Canary, Cobra, Commando Force, Complan, Cross Country, Funskool, G.I. Joe, GI Joe, India, International GI Joe, Rednok, Striker | Permalink. The Club revealed the Tiger Force Dial Tone today to what seems like almost unanimous hate from the community. I have to admit, I am disappointed with the execution on this figure. The use of old 25th era parts, and the choice to use brown instead of blue really hurts the overall look of the figure. But with that said, it has grown on me in the hours since the initial reveal – though I imagine it will remain one of my least favorite offerings from the Club this year. Categories: GI Joe News | Tags: G.I. Joe, G.I. 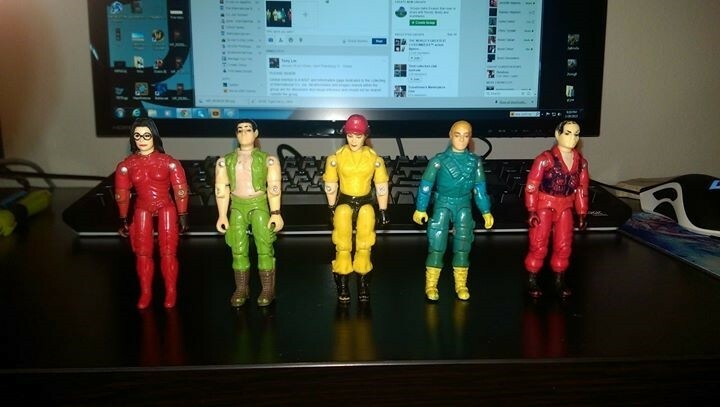 Joe Club, GI Joe, GI Joe Club, Joe Con, JoeCon, Tiger Force | Permalink. As many of you know, I have been really focused on collecting Chinese release items and Tiger Force items. So, you can imagine how excited I got when I found a Chinese vehicle that I previously did not know existed and another that I was able to confirm it was released in China! 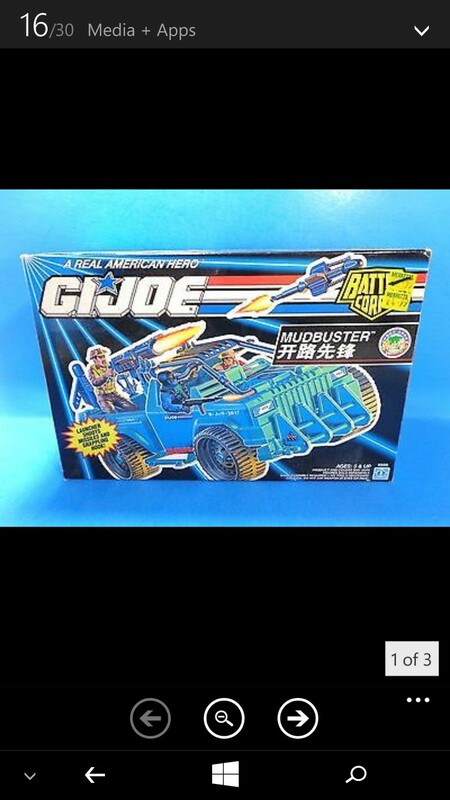 First up, is the Chinese Mudbuster. It is essentially a US box with just the Chinese name printed on it. Interestingly, the blue prints are also in English and not Chinese. This was a vehicle that I was told may have been produced in China and I was able to confirm it was by acquiring it! 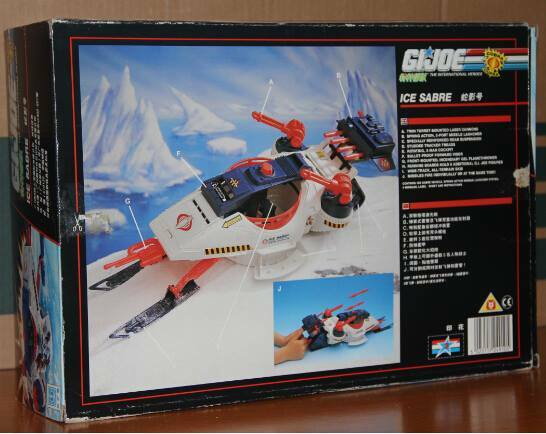 Second, we have, what I believe to be, a previously unknown Chinese release vehicle – the Ice Sabre. I looked long and hard for any other reference or pictures to a Chinese Ice Sabre and even asked around to fellow international collectors. This sealed contents example appears to be the first and only one, at least publicly. Still waiting to get it in hand, as shipping from China can be slow. So for now, I’ll show just the pics from the listing. 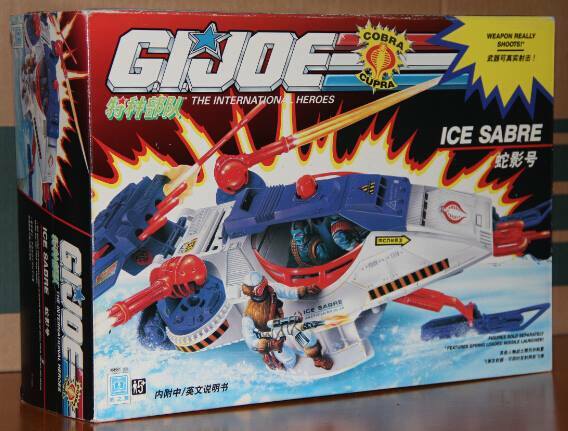 Categories: Aire Devon, GI Joe News | Tags: China, Chinese GI Joe, Cobra, G.I. Joe, GI Joe, International GI Joe, International Heros | Permalink. I first learned of the vast existence of international GI Joe comics from GI Joe Comics International. It was there that I first saw the Chinese GI Joe comics, and up until last week, I had never seen them myself or had the opportunity to buy them. So when I saw these on eBay, I snapped up all 5 as soon as I saw them. 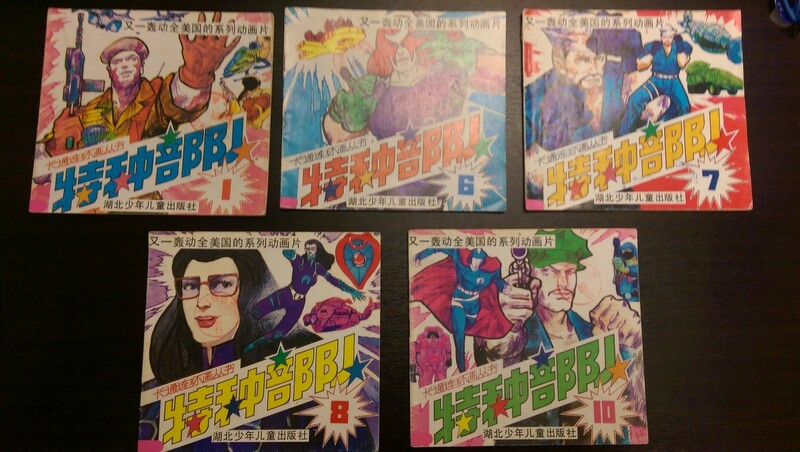 As an added benefit, they will look great with the rest of my Chinese release items! Categories: GI Joe Comic News | Tags: China, Chinese GI Joe, Cobra, Comic, comics, G.I. Joe, GI Joe | Permalink. The Leaky Suit Brigade is very happy to report that the convention set for JoeCon 2015 is Tiger Force! I have been anticipating a Tiger Force related announcement from the Club for some time now. The Club revealed the set theme in their first preview of one of the convention exclusive figures – Wreckage. 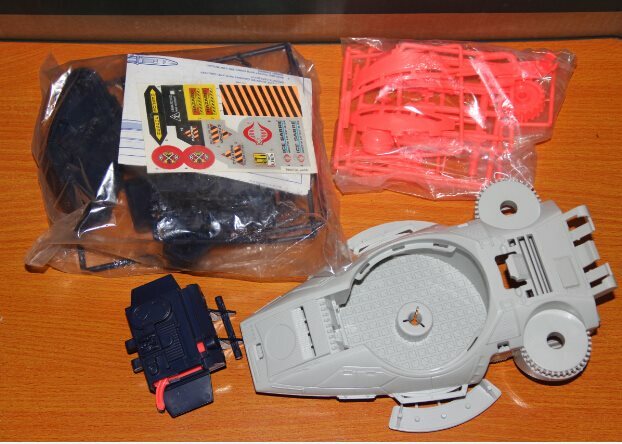 Wreckage is based off of a prototype from the 1980s that used a repainted Firefly figure code named “Sabretooth.” Unfortunately this figure never made it to retail – though I would LOVE to find the prototypes from this catalog…. 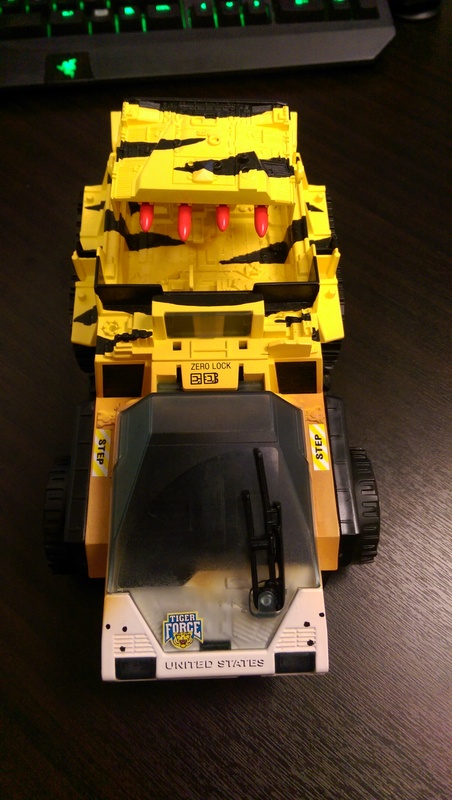 Hasbro did eventually release Wreckage in 2003 in their Toys “R” Us Tiger Force five pack, which also included Dial Tone, Stalker, Jinx and Big Brawler. 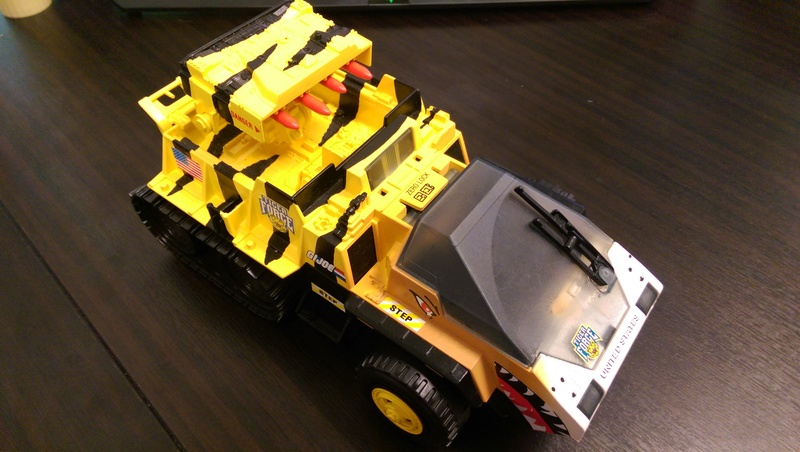 In addition, the pre-production samples of the TF five pack included Outback – not Big Brawler. This updated modern figure uses the Ultimate Firefly tooling from Retaliation. This reveal may indicate that we will be seeing more updated figures from that Toys “R” Us Tiger Force five pack. Categories: Uncategorized | Tags: G.I. 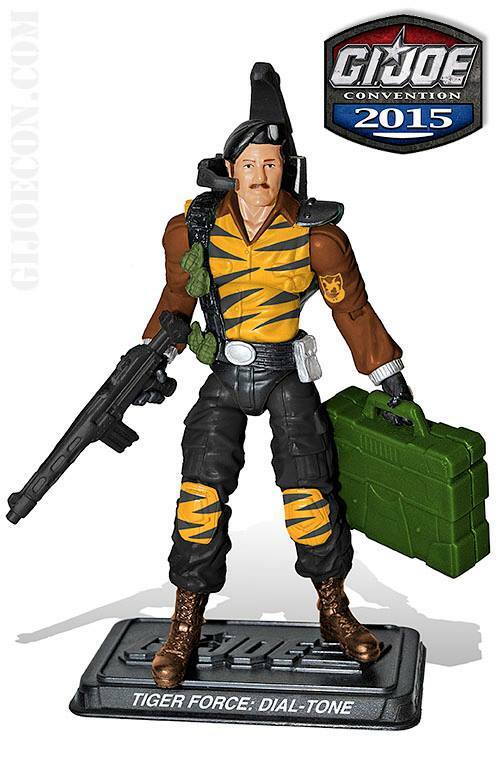 Joe, GI Joe, Joe Con, JoeCon, Tiger Force | Permalink.